“Now the Philistines gathered their armies for battle. And they were gathered at Socoh, which belonged to Judah, and encamped between Socoh and Azekah, in Ephes-Dammim. And Saul and the men of Israel were gathered, and encamped in the Valley of Elah, and drew up in line of battle against the Philistines. And the Philistines stood on the mountain on the one side, and Israel stood on the mountain on the other side, with a valley in between them. And there came out from the camp of the Philistines a champion named Goliath of Gath……” (1 Samuel 17). What a vivid description of the battlefield of David and Goliath. One can see it without even being there, but, standing on top of a hill above the battlefield and reading this amazing story gives it a new meaning. 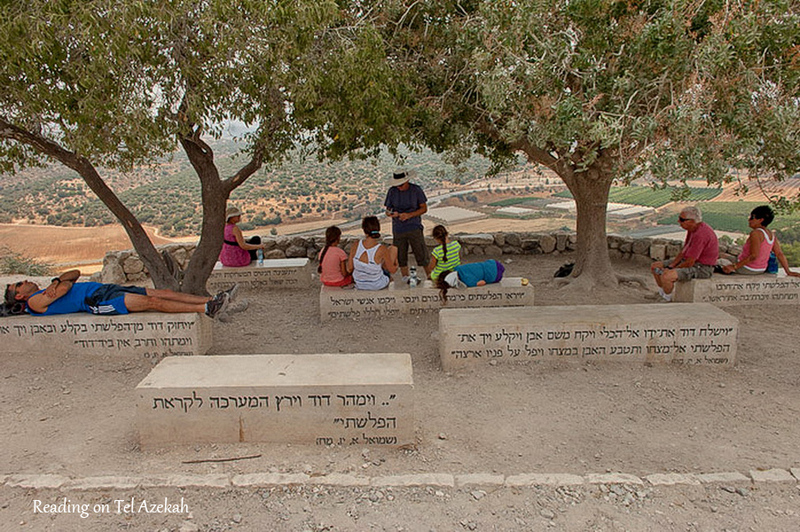 Tel Azekah is the best place to do it. 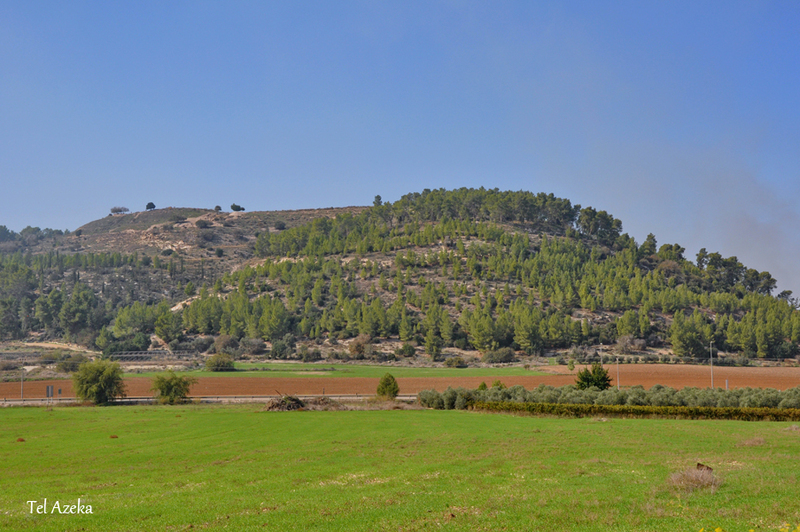 The Elah Valley goes west from the Judean Mountains into the Judean Hills, and is about 7 km (4.5 mi) long. 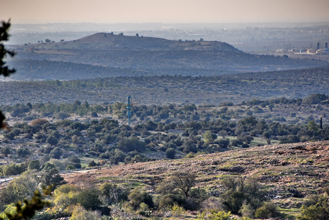 At the battlefield area, the valley is 500 m. (1600 ft.) wide – the perfect location for two armies to camp opposite each other on both sides of the valley. 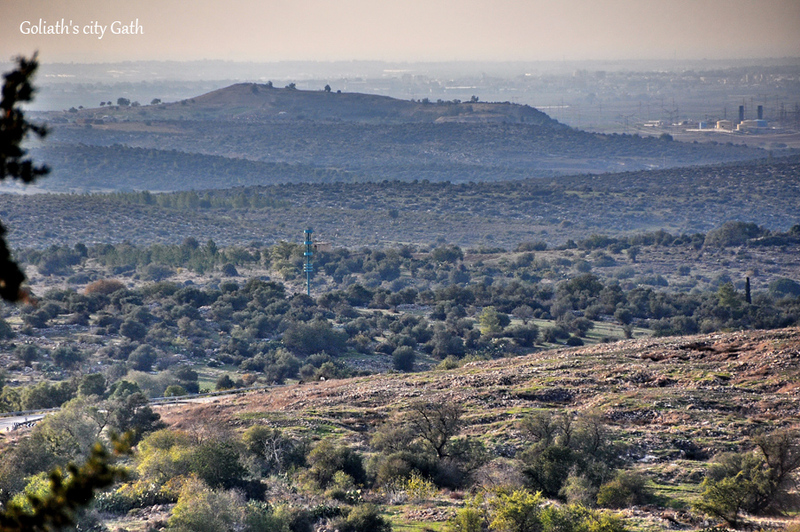 The main road from the southern coastal plain to the mountain area of Jerusalem and Bethlehem was a strategic area, and was quite desirable. 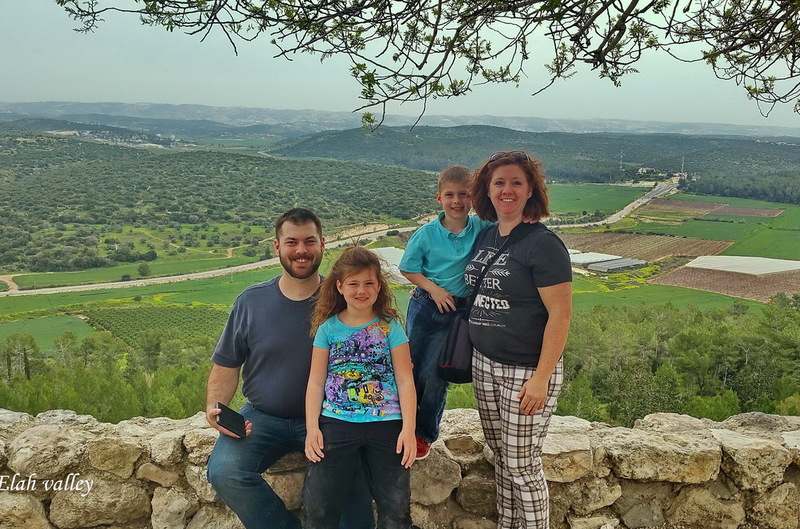 No wonder that the Philistines wanted to have it in their efforts to conquer the mountains from the Israelites. The fertile soil of the valley is also very valuable for agriculture. This is why three cities were located on the hills, alongside the valley. 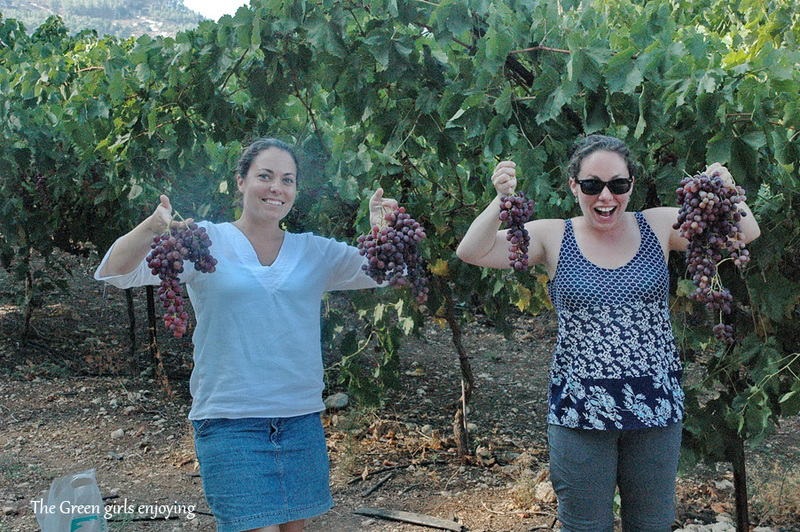 Today, farmers cultivate some of the best table grapes in the country in the Elah Valley.